Meet Christine Soude, KIMI India Director. Christine labors tirelessly as a full time director by training children’s workers in her nation as well as working in children’s camps and conference. 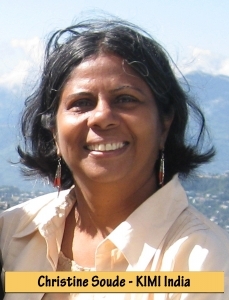 She also works closely with Pamela establishing leaders in PowerClubs all over India and Nepal. She willingly goes into the poorest of the villages where there is no vision for children in the Church at all. She trains many who reach into their neighborhoods, slums and schools to bring children into God’s presence. 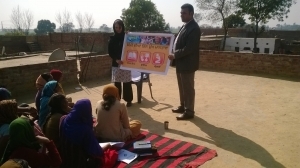 She has translated all of our curriculums and our Redefining book into the Hindi language and makes those materials available in India at extremely low prices to make them available to as many people as possible. She is also actively translating our materials into other Indian languages as well. To contact Christine email powerclubsindia@gmail.com. Twenty years prior to meeting Becky Fischer, Christine Soude KIMI India had received a prophecy she did not want to hear. It was that she was going to be working with children someday. But Christine, did not like what she saw in the typical Sunday School culture. She saw no life and no sustaining power in it. Even though she received many requests to help in the children’s ministries of local churches, she just had no interest in what she saw. 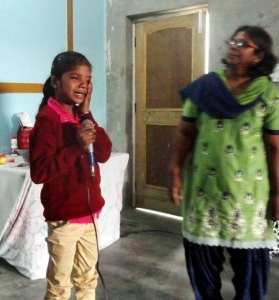 But while helping with the administrative duties of hosting a series of conferences for Becky Fischer in western India, she became captured by the vision that Kids in Ministry presented. by the end of Becky’s trip, through some God-ordained circumstances, Becky asked Christine to accept the leadership of KIMI India. She did, and the rest is history. Only heaven will record how her labors have affected the children of her nation. Hundreds of leaders and multiplied thousands of children have been impacted by her diligence in reaching out in India, as well as Bangladesh and Nepal. Christine has also traveled with Pamela Ayres, KIMI Ambassador at Large, to Africa to help with establishing PowerClubs. 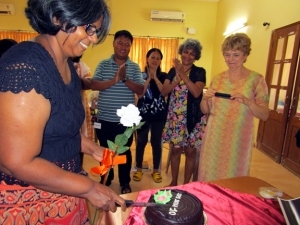 Christine celebrated her 10th year with Kids in Ministry International in 2014. For the last ten years Christine has taken on the massive job of translating many of the books and curriculums form Kids in Ministry International into various Indian languages. She then makes them available in India at very low prices. To see Becky Fischer’s book “Redefining Children’s Ministry in the 21st Century” in Hindi, click here. To see some of the KIMI curriculums in Hindi, Bengali, Nepali and others click here.